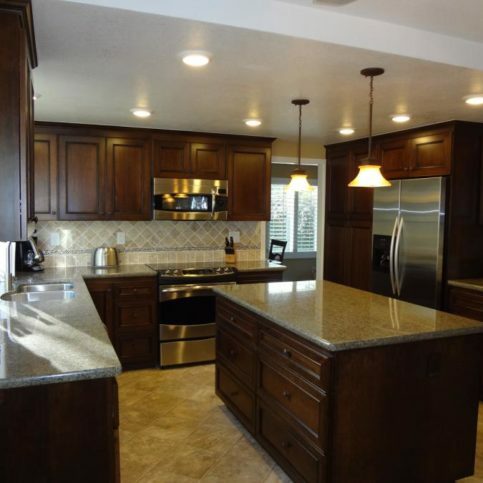 I was very pleased with all of their work and they treated my home with a lot of respect. They cleaned up after themselves. They did a number of things for me without any hesitation. They were very easy to work with. All of the crew and the contractors who worked with them were all great people. I felt very comfortable having them in my home. I would tell them to come and look at my kitchen. They worked well with me. Carlos was very good and he knows his stuff. He was very meticulous on the detail and he made some great suggestions to make things more efficient in the kitchen. Everyone was good. They were knowledgeable and they cleaned up after themselves every day. They made it worth the wait. Along the way, they worked hard to make me feel comfortable during the construction phase. They answered all of my questions. The quality of the work and the quality of the materials were very good. Nomberto was very good and was focused on my satisfaction. 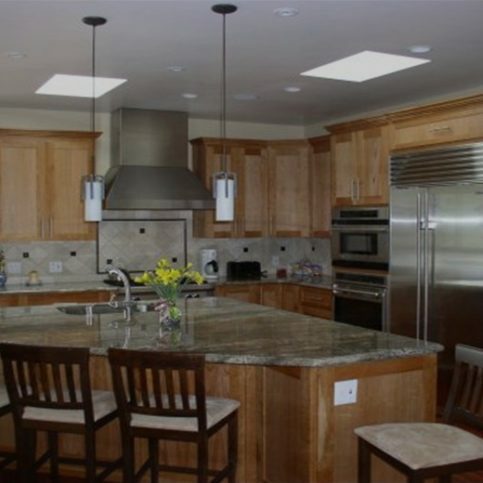 A C A Remodeling Design provides complete kitchen and bathroom remodeling services for residential clients throughout the Bay Area. 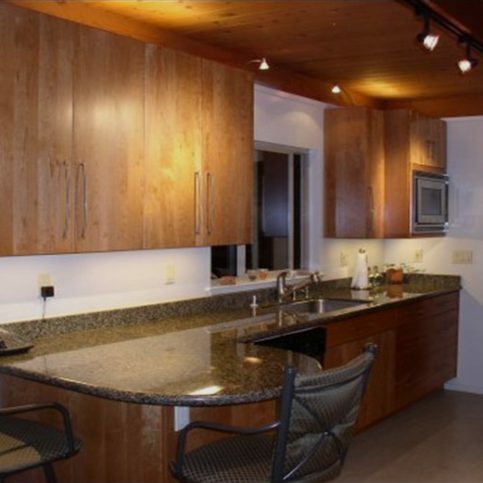 The company is well-known for its design capabilities, which it utilizes to transform kitchens, bathrooms and other rooms by changing layouts, modifying, removing or relocating, and more. 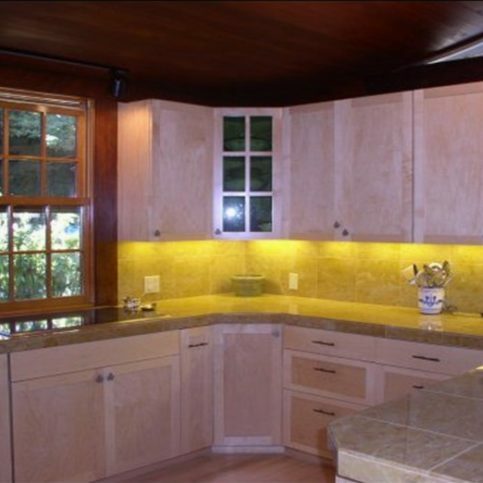 A C A Remodeling Design recently completed this kitchen remodeling project. 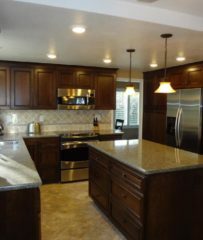 A C A Remodeling Design has been remodeling kitchens and bathrooms for residential clients throughout the Bay Area since 2010. 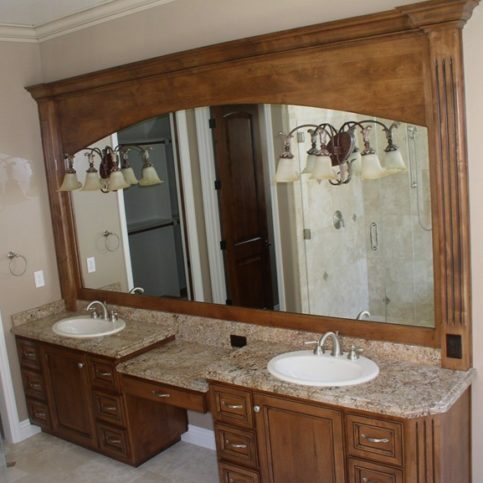 The company is known for its custom and semi-custom cabinet installations, but its remodeling and design capabilities also extend to countertops, windows and doors, flooring, moulding and accents, entertainment centers, and more. 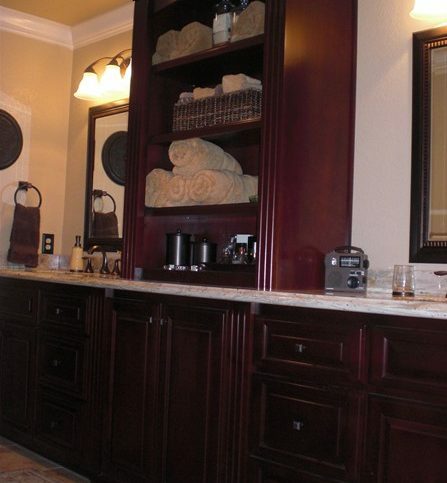 Properly caring for your cabinets will increase their longevity and preserve their aesthetic value. Regardless of how well they’re designed or the quality of their source material, bathroom and kitchen cabinets aren’t made to last forever. Fortunately, there are many warning signs that indicate the need for replacement. The first thing to look for is deterioration in conjunction with the presence of mold or rust. For example, wooden cabinets located beneath bathroom and kitchen sinks are prone to water damage, so if they’re swollen and soft to the touch, they’re probably ready to be replaced. If you want to save money and avoid a full-scale cabinet remodeling project, consider refurbishing your existing cabinets. 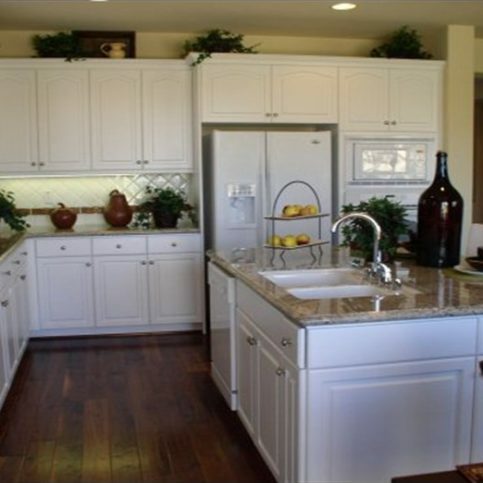 In the case of kitchen cabinetry, this can be accomplished by simply repainting and refinishing the wood. Functional modifications, such as replacing deep drawers with roll-out shelves for easier access, can further reinvent your cabinets without the need for replacement. Fit cabinet doors and drawer fronts with hardware and encourage everyone in your home to use them. In addition to being decorative and fashionable, they’ll protect the finish from finger oils, dirt and scratching. Regulate temperature and humidity levels. 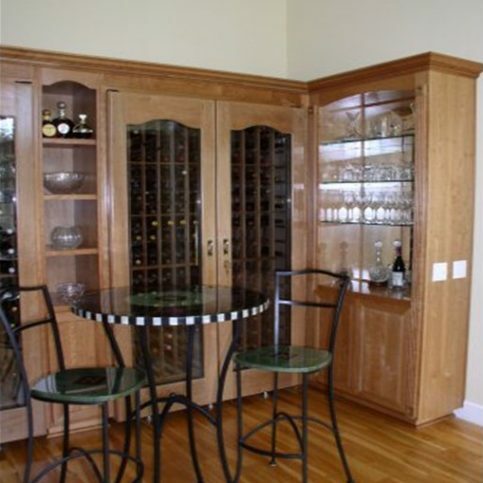 Keeping the ideal indoor environmental conditions will increase the longevity of your cabinets. Use a ventilating fan when cooking to reduce deposits on the surfaces of your cabinets. Use polishes instead of silicones and waxes. Polishes contain detergents that clean dirt, emulsifiers that add body, and mineral oil that acts as a barrier for dirt and moisture. 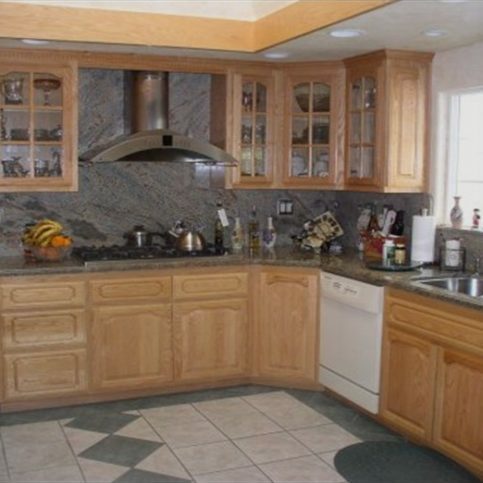 Water spots can sometimes occur on wood cabinets, but they won’t damage the finish if they’re removed quickly. Use a soft, cotton cloth to apply solvent alcohol (also known as shellac thinner) to the water spots in the direction of the grain. The alcohol will displace the water and the spots should disappear. You can also apply a light coat of lemon oil polish for a uniform sheen appearance. A: It depends on a lot of factors, but we’re always upfront with our clients and try to give estimates that are as accurate as possible. 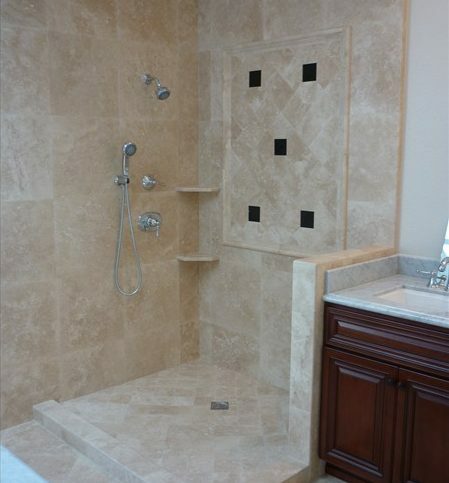 If we happen to give a longer estimate than another contractor, it’s because we take our time and don’t cut corners. Q: Is cleanliness important to you? A: Absolutely. 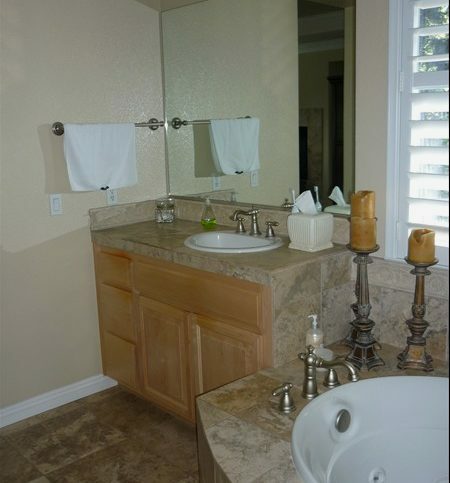 We have the utmost respect for our clients and their homes, so we always try to keep jobsites as clean as possible. A: In order to ensure quality, we provide every project with an onsite foreman who has the experience and ability to make sure our employees and subcontractors are producing high-quality work. A: Yes. We can provide a list of past clients and even match you up with someone whose project was similar to yours. 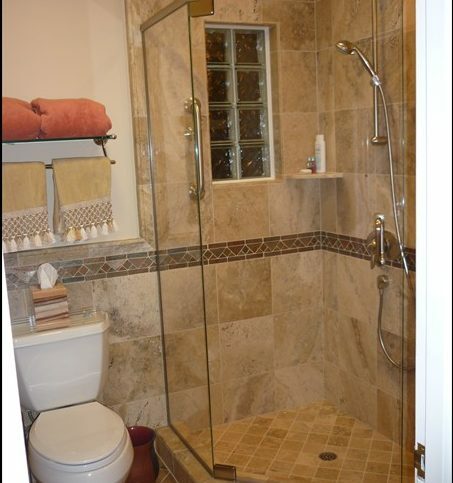 For example, if you want your bathroom remodeled, we can put you in touch with past clients who had us remodel their bathrooms. 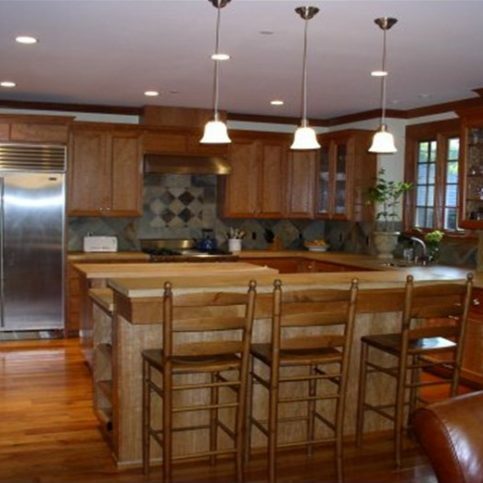 Q: If I have multiple remodeling projects in mind, how do I decide which one to do first? 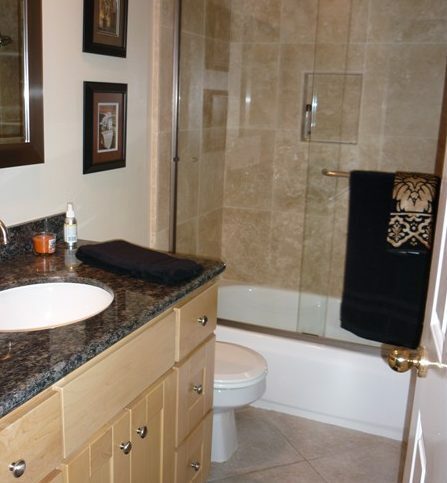 A: We recommend starting with a smaller project, like a bathroom remodel—it’s less expensive upfront and gives you an opportunity to see the quality of our work firsthand. That way, you’ll know exactly what to expect during a larger project like a kitchen remodel. Carlos Aguilera is a 15-year veteran of the remodeling industry and owner of A C A Remodeling Design, a Diamond Certified company since 2012. He can be reached at (877) 690-2026 or by email. A resident of Pleasanton (where he lives with Anna and their two children), Carlos likes to spend his free time getting out and about. “I like taking bicycle rides and going to beaches and national parks with my family,” he says. “Every so often, we’ll take an international vacation. When I’m visiting a different country, I like to look at the architecture and decor and get new ideas for my own designs.” However, as much as Carlos likes being on the go, he also likes relaxing at home and watching sports or HGTV. Q: Reality TV or documentaries? A: Rare and unique coins. Q: If you could immediately master a musical instrument, what would you choose? When it comes to remodeling, many homeowners underestimate what can be done with their interior spaces. A common assumption is that any changes made to a room have to conform to its existing layout. In reality, a room’s layout can often be substantially altered to maximize its space and utility. 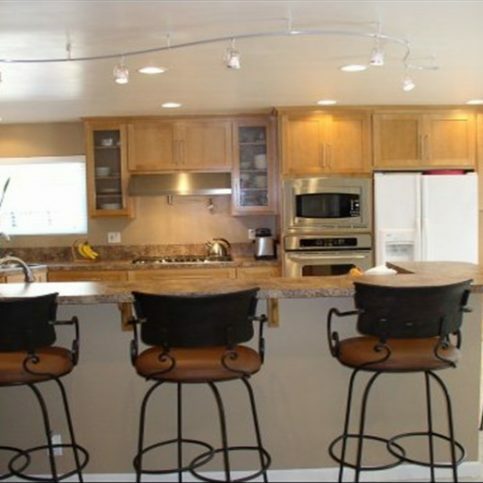 For example, if your kitchen has always been too small for your needs, there are several ways to make it more spacious and functional. One common practice is relocating a kitchen closet or pantry to an adjacent hallway, which will give you more room to work when preparing meals. Additionally, removing and/or relocating walls can further open up a cramped space. As you prepare for your remodeling project, be sure to discuss your options with your contractor, who will help you make the most of the space you have. 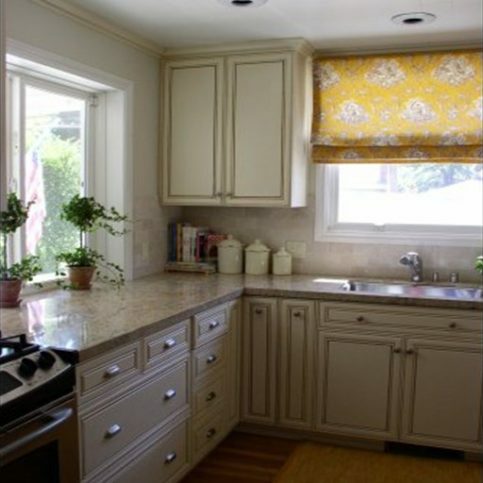 SAN JOSE — Host, Sarah Rutan: Rule number one when planning for a new kitchen: Don’t rush it. Today we’re in San Jose with Diamond Certified Expert Contributor Carlos Aguilera of A C A Remodeling Design to learn more. 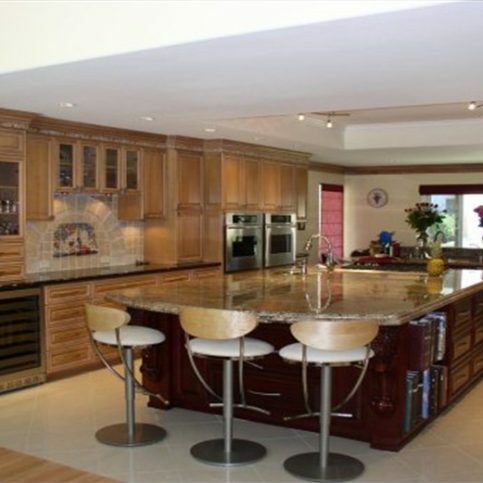 Diamond Certified Expert Contributor, Carlos Aguilera: Today we’re going to talk about kitchen planning. Kitchen planning is one of the most important parts of the project. Having a great plan will help you relieve a lot of stress. Therefore, consult and have a fantastic design. And that design will help you follow throughout. Do not rush things out because once you rush, things will become very expensive. So, go ahead, plan things out, and enjoy the process. A C A Remodeling Design : Average 9.3 out of 10 based on 36 unique customer surveys of customer satisfaction. They were very prompt and on time. Telling me what was done on a day-to-day basis, and always keeping me updated. They're really good, honest, and their work speaks for itself. Being able to talk about any issues, they were very patient and they were willing to work with us. They do quick quality work at a reasonable price. I really liked the way that Carlos worked with me when I gave him my vision. Instead of saying, 'Yes I can' or 'No I can't' based on cost, he sat down and really worked it out with me. He found a way to give me the most of what I wanted for what I could afford to get the best kitchen. It was done sooner than expected and on budget. I had a great experience, and I very much enjoyed the quality of work and the result. Try them. They were definitely good. We were happy with everything that they did for us and they even had some good suggestions. They were easy to work with. We're going to use them again for our bathrooms. I highly recommend them. They did exactly what they said they would do. They did what they said they were going to do, and there were no surprises. They take pride in their work. I was very satisfied. They were very thoughtful of the customer, and they do a thorough job. They did what they promised they would do. I thought they were top-notch. Use them if you can. They are a little bit expensive, but they are good. They were on time most of the time. They delayed a little bit, but it was acceptable because I had to buy things. I had experience with them before and they did a kitchen for me. They did a great job too. I have been recommending them to my friends. They did a good job on the project and they stuck to the plans. The final project was very good, it was done on time, and it was done according to the plan. Carlos's personal attention, they were on time and they did what they said they were going to do. The biggest thing is that they were here everyday on time, and they even came on Saturday to get the job done. They were very friendly, the price was good, and they were very detail-oriented. The biggest thing with contractors is that they don't show up, but these guys were here everyday. They do quality work, the price was reasonable, and we would use them again. They provided all the services, from design through construction. They were very good at communicating with us and they were always available for us. We were very satisfied. They were prompt, their pricing seemed fair, and it was high quality. Good value and very organized, and they deliver on time. It was easy to work with them. They're very professional and they tell you everything upfront. We even had a problem in that when they pulled up the tape from the floor covering. Some of the finish came up, and they told us about it right away. They immediately scheduled to come in and sand and refinish the entire room at no cost to us. I was comfortable with them being in my home, even when I wasn't there. They're very professional and nice people. The quality of work is good, but when they came over, the people were not on the same page as far as design. I had to tell them a couple of times to change things. The finished product looks really good. Carlos is very good at design. We have recommended him to several of our friends. He was very attentive to our needs. He actually did some of the designing on site during our first meeting without a down payment.